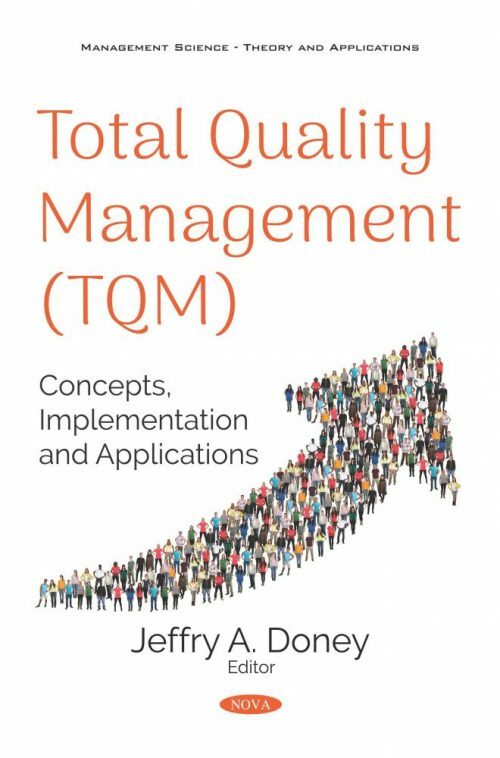 The opening study in Total Quality Management (TQM): Concepts, Implementation and Applications investigates the quality of administrative services and student satisfaction—an important dimension of Total Quality Management—provided in higher education institutions. A questionnaire survey, developed using the well-known service quality model SERVQUAL, was used to explore its five dimensions, namely: reliability, assurance, tangibles, empathy, and responsiveness. Following this, the authors empirically examine the relationship between Total Quality Management-SMEs’ performance and organizational culture under a moderation model in the Kingdom of Saudi Arabia. The research utilizes partial least squares to examine the moderating effect of organizational culture on the association between Total Quality Management and SMEs’ performance. Lastly, the authors develop a model and empirically test it to assess the impact of Total Quality Management on incremental and radical innovation and customer satisfaction, finding that Total Quality Management is positively linked to incremental and radical innovation, whereas no association was found for radical innovation and customer satisfaction.